It’s Go Time, green thumbs! April is the month when gardening kicks into high gear all across this great land. Some people are just breaking ground, while others are harvesting strawberries, but wherever you may be, this Gildshire April gardening piece will have something for you. Let’s get right to it! Those garden implements are calling your name. This is why we are your best, and most reliable home improvement magazines online. Zone Three: A shout out to our friends in Fort Kent, Maine, population 4,097, (Go Warriors!) as they are our Zone Three representative for April gardening. While some zones are harvesting this year’s crops, the folks in Aroostook County get to enjoy the leftover parsnips still in the ground from last year. Dig those babies up and dig in! If the weather warms, even a little, this is the time to plant onion sets, spinach, lettuce, sweet peas, carrots, and parsnips in the garden. It feels good to get outside, doesn’t it Fort Kent? Zone Four: Good afternoon, Alamosa, Colorado, population 9,918, (Go Maroons!) You are our Zone Four representative for April gardening information. Gardeners in Alamosa County are in the starter’s blocks, anxious to get to work. 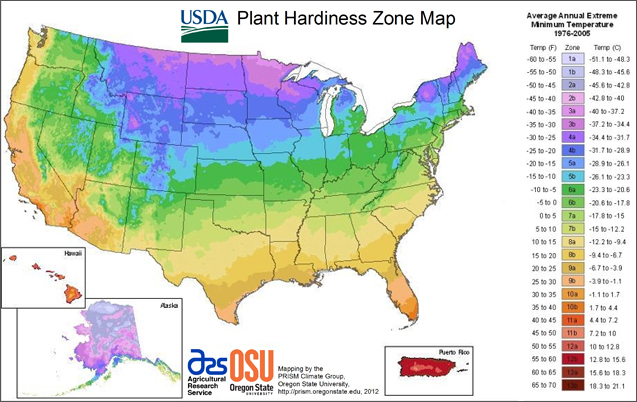 As far as foodstuffs are concerned, plant cold-tolerant crops this month. These include lettuce, spinach, peas, radishes, and onion. The flower beds will do well with primroses, and both lilies and lilies-of-the-valley. This is the month to plant raspberries, but strawberries will do better if you wait a month. Zone Five: Hamilton, Montana, population 4,674, (Go Broncs!) checks in as our Zone Five representative. Ravalli County gardeners are looking to get their hands dirty as winter finally gave way to spring. Assuming the ground is properly thawed, divide and replant perennials, such as hostas, bee balm, and asters. Sow some spinach this month to get tender leaves before the weather grows to warm this summer. April gardening brings out the hat in the best of us. Zone Six: Well, hello Bernalillo, New Mexico, population 9,202 (Go Spartans!) The warm April weather feels good on the necks of the Sandoval County Garden Club. The bounty of summer gets planted in April. That means peas, potatoes, spinach, and other leafy greens. Don’t forget to plant carrots, beets, and turnips this month, as well. Oh, we haven’t forgotten the flowers that make The Land of Enchantment so enchanting. Make sure the final frost is past and plant cool weather flowers. These include larkspur, bachelor buttons, and sweet peas. Zone Seven: We see you at the base of Mt. Rainier, Enumclaw, Washington, population 11,654 (Go Hornets!) As April’s Zone Seven representative Pierce County gardeners look for an end to winter’s interminable rain and a start to…spring’s warmer rain. Ah, life in the Pacific Northwest. This is Mulch Month for Zone Seven. Also, time to put those gorgeous azaleas and rhododendrons out. Make sure your color choices complement your garden design. Zone Eight: Hello, Forks, Washington. The Twilight series vampires live here and so do 3,783 warm-blooded humans (Go Spartans!) As our Zone Eight representatives, this is the time of year to give flowers and veggies some liquid seaweed or compost tea. Basil’s month is April, so make sure and get some in the ground. Also, Clallam County gardeners should sow calla, caladium, glads, and waterlilies this month. Zone Nine: Ahoy, Seaside, Oregon, population 6,685 residents (Go Seagulls!) and almost as many tourists on the beach. Members of the Clatsop County Master Gardeners need to know April is slug and snail month. Get them out of your garden in the morning and at dusk. Then, plant summer bedding plants. These include petunias, wax begonias, lisianthus, and impatiens. Finally, go flower crazy! Almost anything you like to see in a flower garden is plantable this month. Nasturtiums, portulaca, marigolds, salvias, amaranthus, sunflowers, vinca, and zinnias are on the clock. Perennials, such as ornamental alliums, bellflowers, coreopsis, daisies, yarrow, perennial geraniums, daylilies, penstemon, and statice can all go in the ground at once! This is probably Zone Nine’s busiest month. Zone Ten: Finally, our good friends in Carpinteria, California check-in, all 13,684 of them (Go Warriors!) Some of the nation’s most hospitable weather is found in Santa Barbara County, and some of the most committed gardeners are found there, as well. This is the zone on our April roster where protection from the heat is an issue (The folks in Fort Kent should be so fortunate.) Plant perennials so they settle before summer’s heat arrives. Be sure to give them lots of cool water. This part of California is the breadbasket of America, so try some edible plants. These would include malanga and gingerroot. You’ll thank us next winter. As far as flowers are concerned, you are bounded only by the limits of your imagination. (I think Willie Wonka said that.) At any rate, plant heat-loving bedding plants, such as vinca, strawflowers, blanket flowers, and gazanias. That’s April in the great outdoors, boys and girls. We hope this gave you some small, modern, gardening ideas. Or, if you are lucky enough, large, modern gardening ideas. Get out there and make your part of the world beautiful. The garden awaits your tender touch. Let it know you haven’t forgotten. How Did Halo Top Take Over The Ice Cream Game? Speed Limits: Are They About to Go Down?